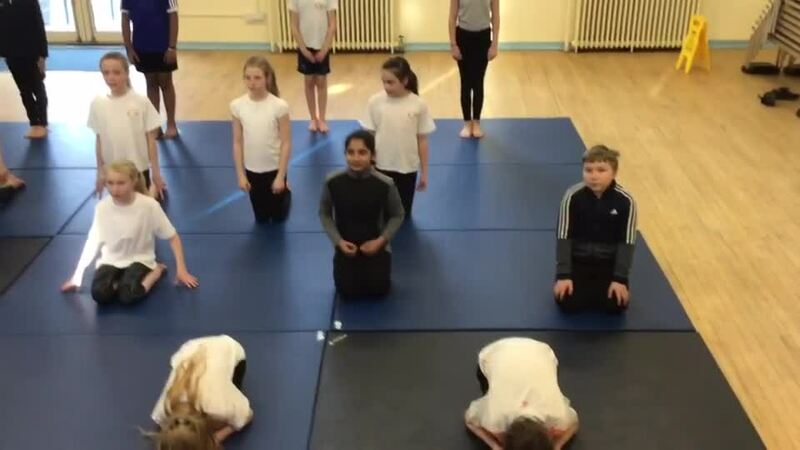 Today Year Six performed their gymnastic routine. They have worked so hard each week. We started off the week listening to James who has done extensive research around treatments for cancer. He has changed the way in which certain cancers are treated to have more positive outcomes for patients. We had lots of interesting questions to ask him about the work he had done. On Thursday we got to meet and handle different animals. We met Winnie the rabbit who is the daughter of the world’s biggest rabbit. On Friday it was dress up day! There was lots of amazing Scientist based jobs that people had though of. In Year Six we are revising how to measure angles accurately. We started by measuring angles on the table and then applied it to drawing shapes with given dimensions. In PE today Year 6 used their orienteering skills combined with their arithmetic skills! They had lots of fun as well as improving their mental arithmetic! On Monday 25th March Year Six were given all the electricity equipment we own in school. They loved the opportunity to explore the equipment and test different circuits! After we discussed what vocabulary they had used throughout and then though of questions we wanted to find the answers to for the topic. Year 6 love a dress up day! To celebrate world Book day they dresses up as their favourite book character or a crayon! There were some amazing outfits!! They also decorated their potatoes as a Book character! During Book week the y6 enjoyed being involved with lots of different activities. This was our family learning morning where they made stationary come to life using pic collage. Owen, Grace and Danielle helped to introduce the theme of our World Book Day this morning. They played the parts of disgruntled crayons on our episode of ‘Loose Crayons’. Today the Year 6 Collective Worship was led by Grace O and Ashin. They used prayer beads for people to have some reflection time while they prayed. Sophie - I liked putting the beads in the bowl because it got everyone involved. Amelia - when we all got a bead and said a prayer it was very special. Izzy - I like the few minutes to remember our lost loved ones. Y6 discussed their internet use and the importance of giving/gaining permission as well as understanding the word ‘consent’. Y6 made their pledge about how they would be on the internet. Today Y6 have used the iPads to research about earthquakes. The Y6 GIFT team members planned and led the Collective Worship in Year Sux today. They began by asking the children to write prayers on love heart and put them in the basket by the altar. After the Gospel reading they then asked the children to paint their hands and print it onto paper and they created a circle around the altar. This shows the children that they are all individual but equally special to God. The children commented how peaceful and reverent they felt throughout the Collective Worship and enjoyed the opportunity to join as a class to worship together. Today Year 6 have been exploring the Gospel of Matthew. We read different passages and stories from the gospel and the discussed how we could use these stories to help us live our lives as Christians. Y6 used a collective memory game to learn about volcanoes. Active and engaging learning! Y6 had a fantastic afternoon at the Santa Dash held at Wath Comprehensive School. Great resilience and determination shown! Well done everybody! year 6 are finally on times table rock stars!! We’re gonna rock them! Year 6 were very lucky to be invited to St. Bernard's to attend a concert put on by Nathan Sykes. They had a blast and even got to be right at the front! On Friday 16th November we visited the Imperial War Museum in Manchester. In our workshop we were given headsets and became secret agents to help protect memories. After that we went to see the Remembrance Poppies outside. Later we went to the World War One centenary Exhibition. We had an amazing time and found out lots of new information! This half term we are looking at the Christmas Truce and we started off by acting the story out. We thought carefully about our actions and feelings at key parts in the story. Keep checking our blog to see how we are getting on with writing it in our own words. Well done to our amazing runners, who competed in the finals of the Rotherham schools cross country championship this week. Every child ran their heart out and were a huge credit to their parents, their school and themselves with the way they competed. Well done to all for your huge efforts.